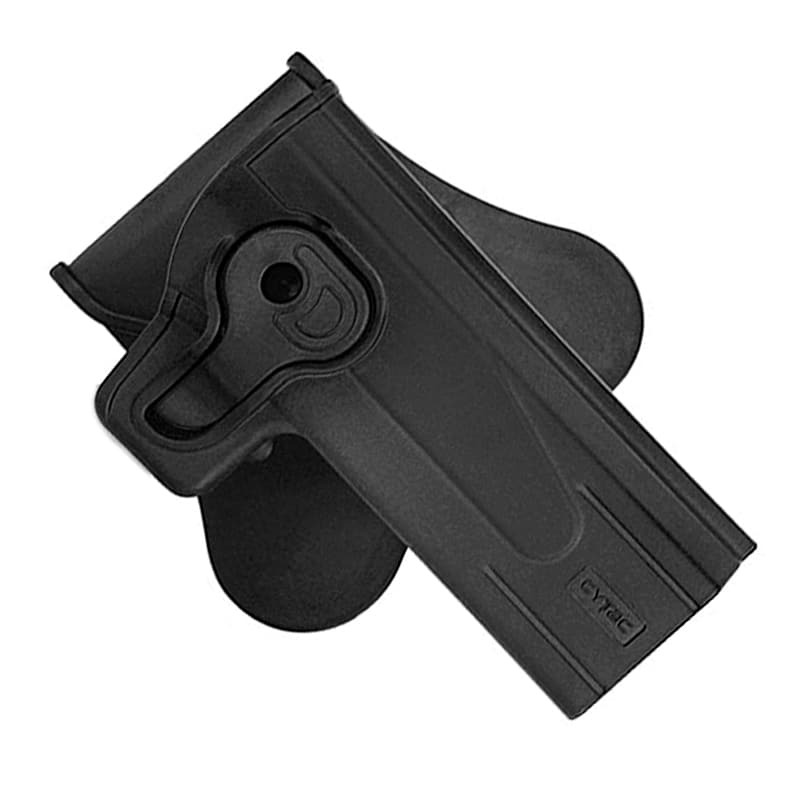 The Cytac/Amomax Hi-capa holster perfectly fits the SSP-01 and most other Airsoft Hi-capa replicas. 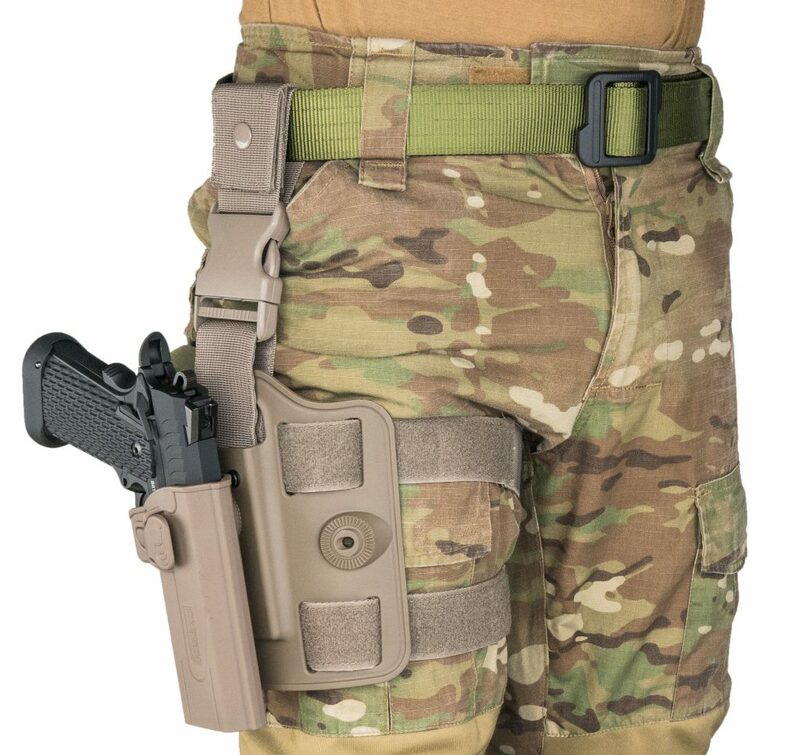 While the holster comes with a belt mount - there is also a legmount and a mollemount available. 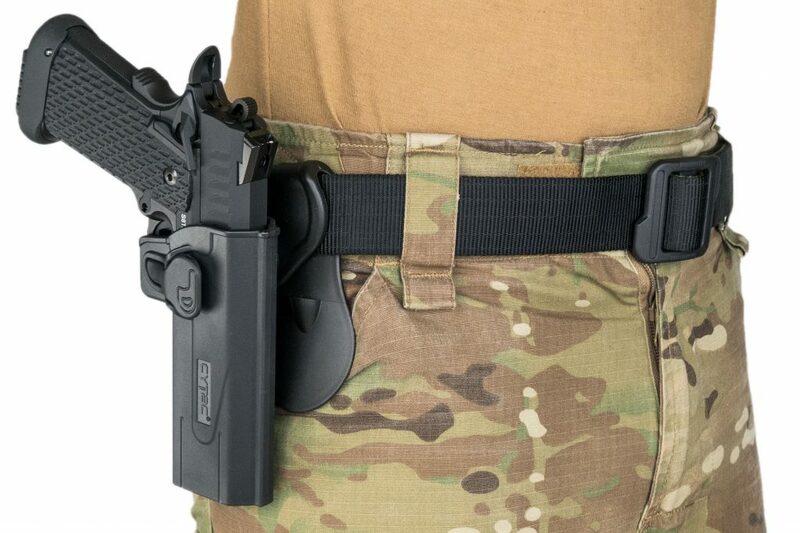 The integrated locking button provides a solid pistol retention. It is pressed naturally by your index finger which makes for fast and smooth draws.